1. Hold the "Reset Button" 5 seconds, then let go. Again, hold the button for 5 seconds, then let go. 2. 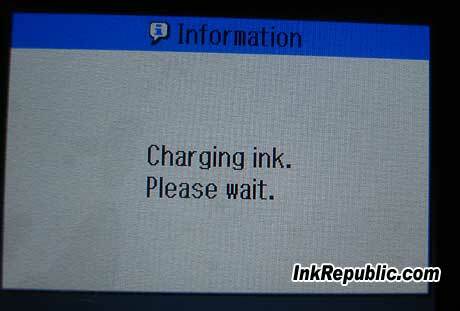 Push the "OK" Button on the printer. 3. If you still get the error message, try to re-seat the chipbars and chipbar holders and repeat step 1 & step 2. 4. 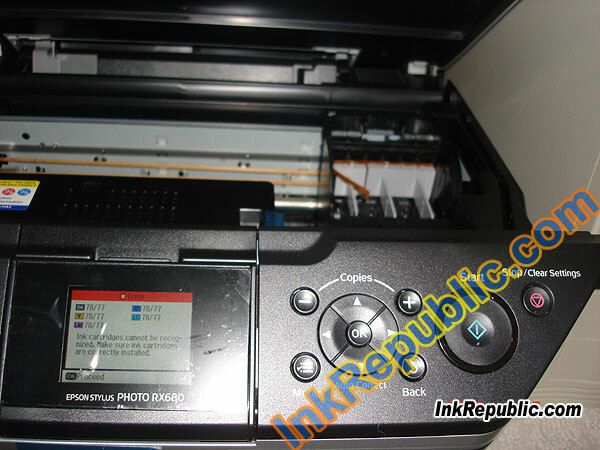 If your printer can read the chipsets, you will see the printer starts charging inks. 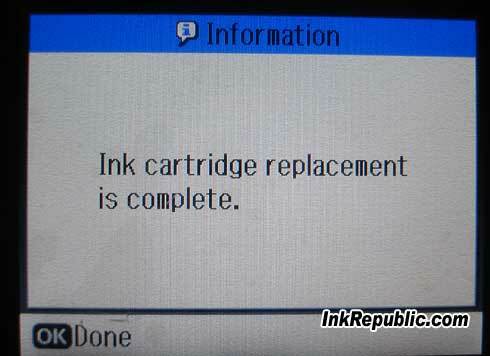 When the ink level drops to empty, you will need to reset the ink level. 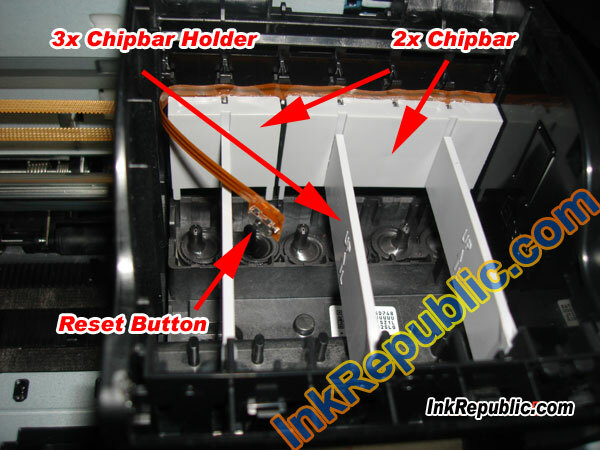 Simply push the change cartridge button, and hold the "Reset Button" on the chipbar twice or 5 seconds, ink level will raise up afterward. 6. 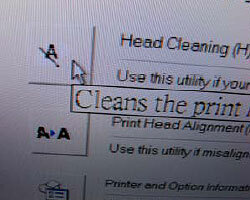 For the R260 and R280 printer, there is no LCD or any ink changing routine button, please use printer software to run the head cleaning then it will reset the ink level. 7. 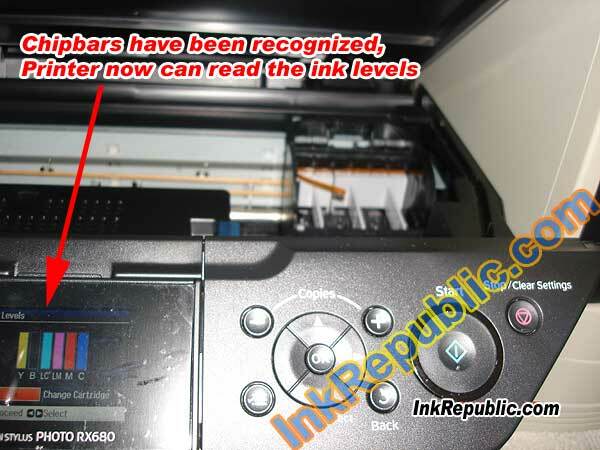 If the reset switches do not roll back the ink levels and you still see BIG RED X mark from your printer software, go to printer software and trigger "Head Cleaning", then ink level will be back to FULL. 8. 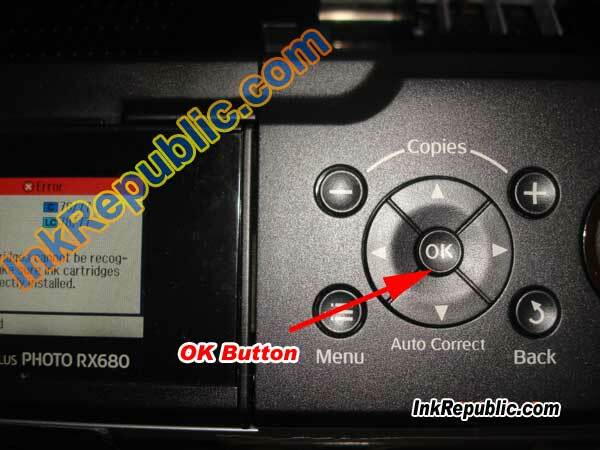 If you still get RED X mark, try to disconnect the USB or FireWire Cable, wait 10 seconds, and reconnect it. 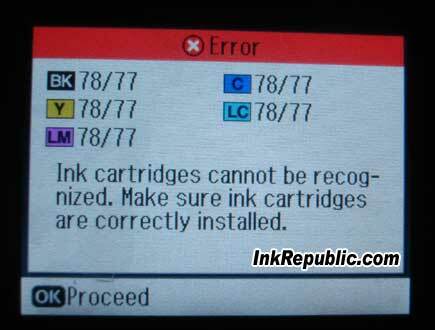 Q: Where can I find the manufacture date of my printer?